Hi Amy’s blog readers! I literally feel so privileged to be posting on here because, let’s face it, this blog is just unreal, so I am super duper excited (and a tad nervous) to be having my content out here for all you wonderful readers to look at! I’m Georgie and I usually post a mash up of lifestyle content at www.shedreams.co.uk, but today I’m gonna be sharing this absolutely ahhh-may-zing lipstick with you.. I bought this last month in Paris whilst I was scanning Sephora for any goodies that needed adding to my collection, and to be honest it was just the colour that instantly hooked me. Artist rouge mat in M301 is a really vibrant but wearable pink, and after the lovely Sephora ladies gave me a little demo I knew that it had to be mine. It’s actually my first Make Up For Ever lipstick so I’m not familiar with their formula or anything but I have fallen in love preeetty quickly. The colour pay-off is 100% - I could not ask for any better here as it really does tick all the boxes. So much coverage, no patchiness at all and a moisturising formula. Because it’s a semi matte finish (I would say it’s basically matte but not the industrial dry as a bone kind) you don’t have to worry about it slip-sliding all over your chops, but it stays put without leaving your mouth like some kind of Sahara. Win-win! The result is intense but you don’t have to worry whilst going about your day because through drinking and eating etc it just wears away naturally. It’s absolutely perfect to take out in your handbag with you for top ups as the packaging mirrors the price tag here and you really do get what you’re paying for. I know it might seem a little nit-picky but there’s nothing worse than a lipstick lid that’s ever so slightly wider than the actual lipstick and so ends up falling off in your bag, leaving the product to just kind of smush everywhere. The packaging with this lippy is totally sturdy and pops into place like a glove so that the product is fully protected all the time! No nasty handbag accidents happening here! As you can probably tell, I’ve rather quickly become a slight Make Up For Ever fanatic and am already looking to get my hands on another shade of this beautiful lipstick. It’s just so great when you try out a new brand and suit the formula so well! Have you ever bought anything from Make Up For Ever before? Let me know if you have any recommendations! 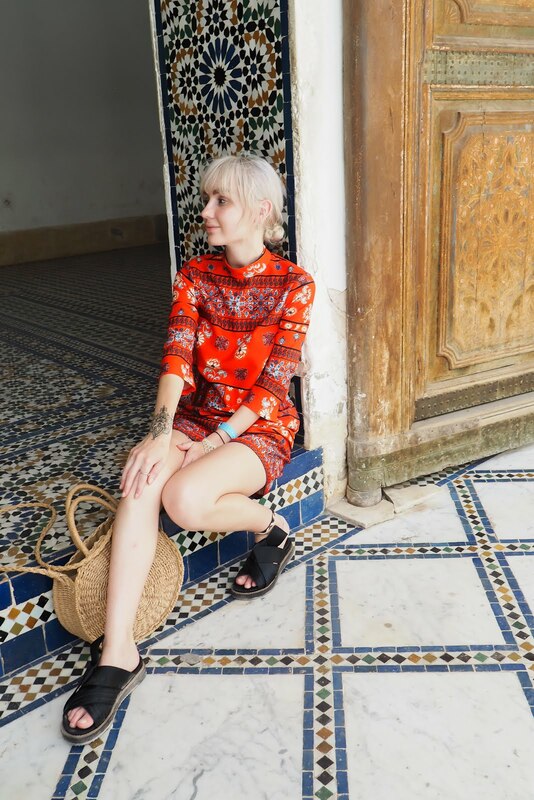 Make sure you check out Georgie's uh-mazinggg blog She Dreams for travel, beauty, fashion and some fabulous photography! Her social links are below too! A huge thank you to this week's amazing guest posters! They have done such a fabulous job and I hope you enjoyed reading them as much as I did! I'm back from Dubrovnik later tonight so I'll be back with a new post Tuesday - have a fabulous Sunday! Looks like an amazing lipstick and the shade suits you down to a T!